Jamie Mitchell and Shae Foudy have taken out the Pier Paddleboard Race in Santa Monica today, beating home a solid field of paddlers in what is fast becoming an iconic event in SoCal. 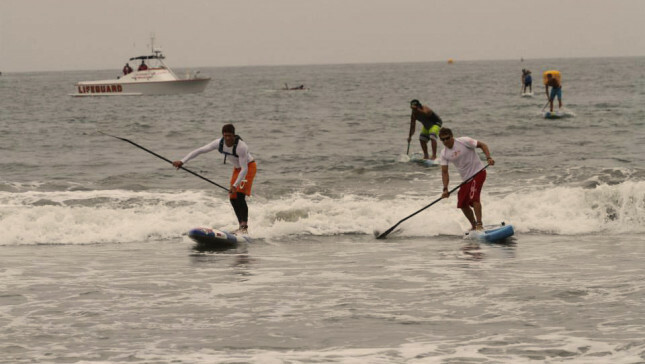 The Santa Monica Pier Paddle is the race responsible for *that* photo sequence in 2013, when the event was run in very solid surf and carnage was the order of the day. 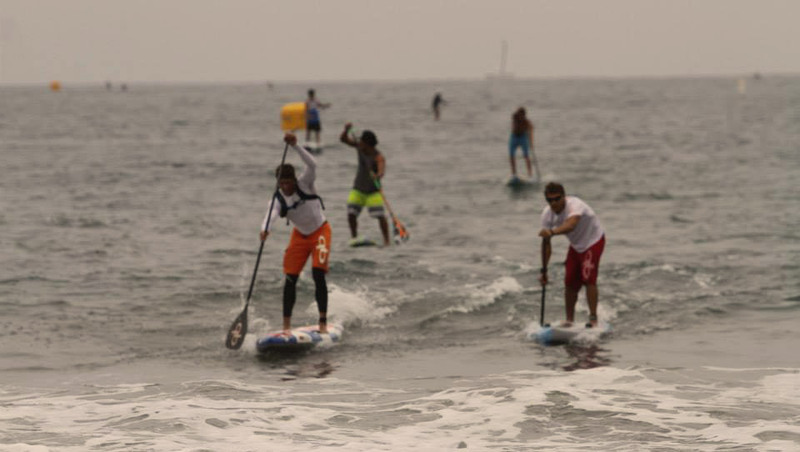 JM, a big wave surfer by trade, probably would have fancied his chances even more if there was a similar swell for this year’s race, however conditions appeared to be a lot mellower and more welcoming for paddlers today. The win extends Jamie’s recent good form and it’ll be interesting to see where he finishes at the next big race. We won’t have to wait long: In just two weeks the 10x Molokai World Champ will be in Idaho for the Payette River Games, where he’ll face off against Travis Grant, Kai Lenny and an all star cast. 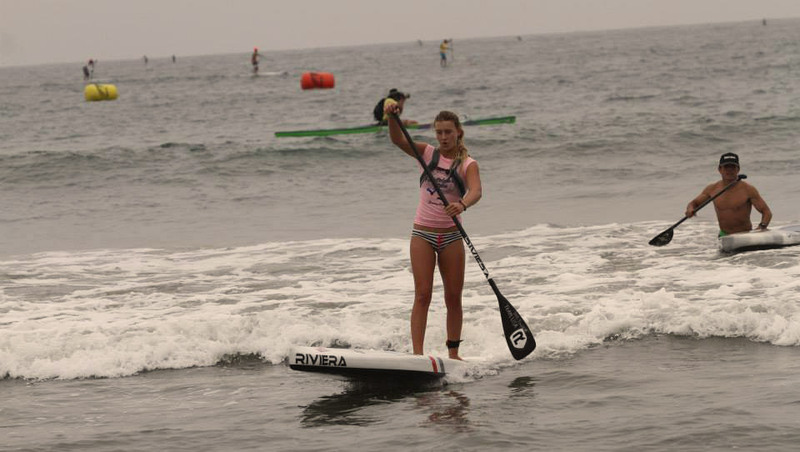 Also great to see another win for youngster Shae Foudy, who is perhaps still on a high after her very brave performance in Nicaragua last month. 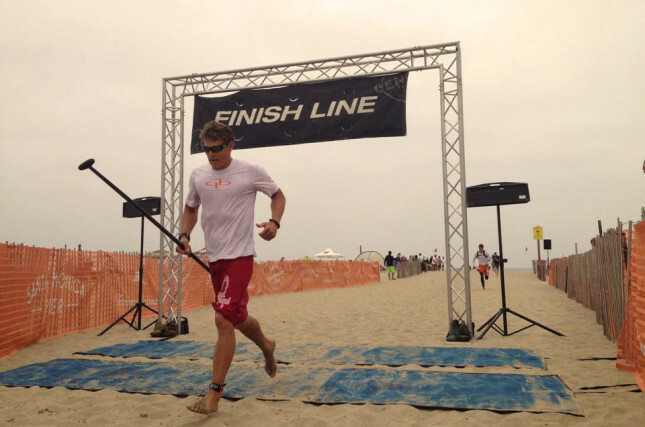 Coming home behind JM in the 5.5 mile (9km) distance race was Chase Kosterlitz. 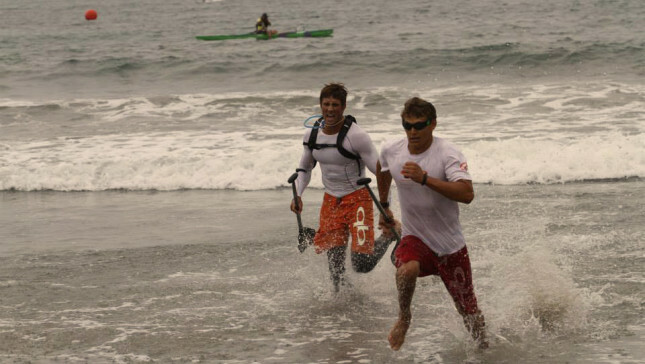 Jamie and Chase actually hit the beach on the same wave but, just as with that infamous race up at Tahoe, the Aussie outsprinted the Floridian through the shallow water. Rather fittingly, the guy that made the epic wipeout sequence last year, Mexico’s Bicho Jimenez, returned to the scene and picked up a top 3 finish to continue his excellent run of form. 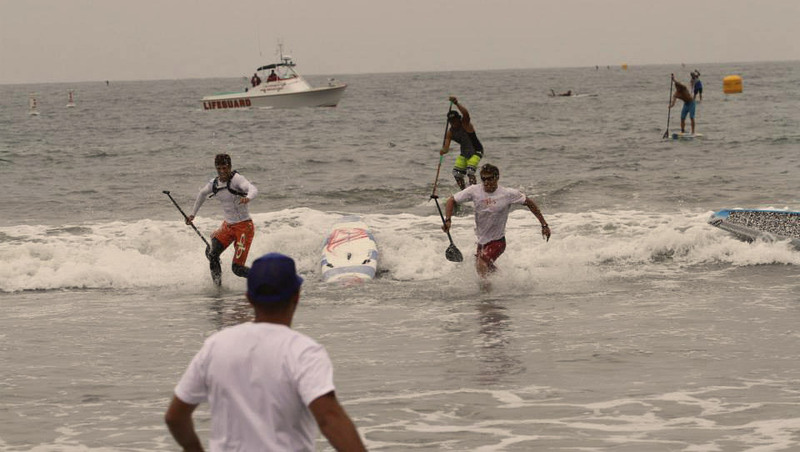 The distance race was followed by a SUP cross sprint event, which saw Mo Freitas and Candice Appleby salute ahead of Matt Becker and Shae Foudy respectively. Plenty of pics on the official Facebook page.